The winner will be able to choose the nautical trivet or coaster set with the nautical chart of their choice! There are so many nautical charts to choose from! Each set is CUSTOM MADE! Ahh I saw these on their blog a week ago! I bookmarked the Charleston & Johns Island ones so for obvious reasons, I'd choose one of those! Other than the charts, I like this Glass Sakana Fish on Stand for our mantle. I follow Outer Banks' blog. Going to blog about your giveaway right now! Wow! I love those! Of course I would pick the Charleston one! I really love their Blue Corals Chart! It would look great at my parent's beach house. 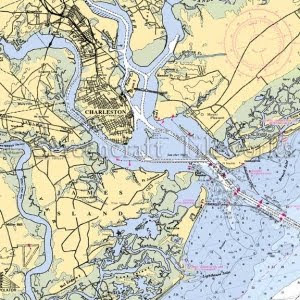 I would choose the Charleston nautical chart! I am blogging about your giveaway! Thanks! I left them a comment on their blog...great stuff! I would choose Alaska of all places, we went their this summer on a cruise, would be a fabulous present for my parents.. I love the Recycled Sail Cloth Anchor Wine Bag! 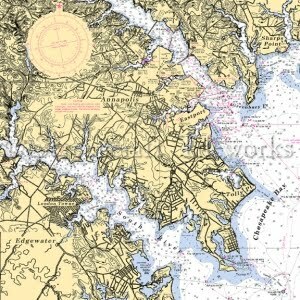 I would pick the Annapolis nautical chart! I LOVE the Coral sculpture! It would be a great accent piece in my bedroom! I would definitely choose the Hingham, MA nautical chart because that is where my finace grew up and we live nearby there now! How could I possibly narrow it down to just one favorite product!?!? The napkin rings are especially cute though. I'd chose the Key West nautical chart....although Boston would be a super close second! I would totally get the New York- Greenport map. I grew up spending summers there (and still go!) and I have a MASSIVE love affair with the place. This would be perfect! The wooden seahorse in the rare finds section is stunning. Too bad I don't have the space in my apartment (or the money) to get it! aaand I just "liked" them on facebook! I just became a fan of Outer Banks Trading Group on Facebook. And lastly, I just tweeted about the giveaway! Oh and my favorite chart pattern is Chesapeake Bay, VA! 5) I tweeted (@chsgirlblog) about the giveaway! Love the Underworld Vase, Sea Horse! And of course Charleston-area chart coasters and table. As for the nautical charts, I like the idea of coasters and I'd choose either Virginia (Bay Bridge area) or North Carolina (Cape Hatteras). I would choose the Nantucket chart for sure! I love, love, love the recycled sailcloth handbags- how green, nautical, and cute! ooh pick me pick me love everything from outer banks trading group! love the pillows esp white anchor on green. am a n by n follower and now followe OBTG blog too. I now follow their blog! Thanks for all of the great give-aways! i LOVE any of the crab items. the beau is from maryland, so they're are staples for us! and i think we'd have to do the maryland-bozman print. I really like the blue crab thread throw pillow. would look so cute on my couch. Wisconsin chart is what I would choose since I grew up there. and finally, I've tweeted about your blog and giveaway. Oh my goodness I love these!! I have never seen this before! 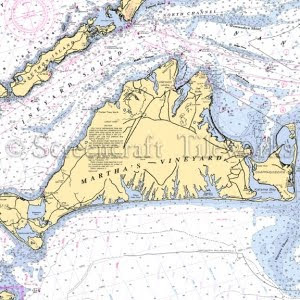 I would want a nautical chart of Cape Hattaras (one of the best vacations I ever took), or of Nantucket (one of the best vacations I hope to take one day!). This would look so great in my hubbys study. Great giveaway!! I am a follower. I follow the Oter Banks Trading Group Blog, thanks! I follow the OBTG blog! I would definitely go with Annapolis; that where T and I graduated from college! Thanks for the great giveaways- it's making my week! I LOVE the Trink Turk pillows espeically the Rustic Medallion in aqua blue. I'd get the Newburyport, MA chart (it's near where my fiance proposed!) or the Boston one! I'm a follower! Thanks for all these fabulous giveaways! I follow the Outer Banks Trading Group blog! I LOVE the Trina Turk pillows!!! I would pick the Nantucket coasters! What a cute store! I love the sand dollar napkin rings! I would love the Hilton Head Nautical map! I love all of the Recycled Sailcloth bags!! I would choose the Panama Beach, FL chart. I like outer banks trading group on fb. I follow your blog! I tweeted @oneandonlycp. I now follow the outer banks blog! I love the crab pillows! I follow the outer bank's blog! I absolutely love these! Just left them a comment about the chart items! 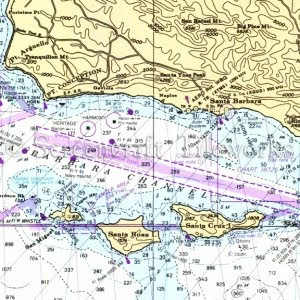 I would pick the Appalachicola chart because I love sailing in that area and it is so pretty. I'm hoping to end up teaching down there! I also love the oyster sign, it would be perfect in my kitchen. I can't even pick one, everything would be amazing because I live on the water! LIked OBX on facebook and I am following their blog. I'm a loyal follower of your blog and tumblr. Put this on my twitter and tumblr! I like the nautical pillows on OBX TG--they spark up my cream-colored sofa. Well, darn it! I'd choose either Ocean City, NJ, or Bermuda but they have neither. :-( So I'll default to Atlantic City. Liked OBX TG on FB. I follow & enjoy your blog via GFC.